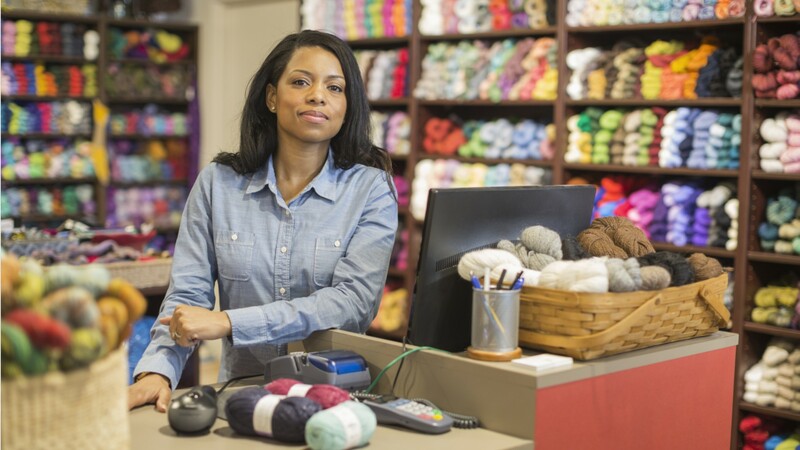 Whether they sit behind a cash register… stand at the ready on the car lot… or walk customers through a labyrinth of shelves… cashiers and retail sales workers are the face of many businesses. With more people employed in the field than in nearly any other job in the United States, retail offers workers the chance to learn skills that are essential for almost any workplace. Cashiers greet customers, ring up their purchases, and answer questions. They often handle product returns, sign customers up for rewards programs, and may stock shelves or clean up. Retail salespersons perform cashiers’ duties with an additional focus on helping customers find and choose items to buy. Items range from lumber, jewelry, clothing, books, plants, and electronics to furniture and cars. Sales positions may require specialized knowledge and training. Appliance salespersons, for example, must explain product specifications, financing, and more. Parts salespersons sell spare and replacement parts, especially car parts. They advise customers, take orders, and inventory supplies. Retail sales hours may be full time, though part-time hours are common, and weekends and holidays are often required. A friendly manner and the stamina to stand for long periods are important. In general, there are no formal education requirements for retail sales workers, and most receive on-the-job training. High school education may be required for positions selling more complex items. Retail Salespersons by U.S. Department of Labor, Employment and Training Administration is licensed under a Creative Commons Attribution 4.0 International License.